For the Detroit Tigers, it’s now or never. The team has made it no secret that they are done saying “next year,” and little has made that strategy so abundantly clear as trading the team’s top pitching prospect in Jacob Turner to the Marlins for Infante and Sanchez. Currently three games behind the Chicago White Sox in a tight race for the AL Central crown, their two newest faces fill two big holes: second base and the middle of its rotation. We’ll have to wait and see how Sanchez performs and Turner Develops to know which team got the better deal long term. But Infante and Sanchez will do more for the team right now, and that’s all there is for the Tigers. The Giants are just one game up over the Dodgers in the NL West, and given all the moves LA has been making (discussed below), San Fran had to come up with some sort of counter. What they came up with is two-time all-star Hunter Pence, who’s hitting .271 with 17 homers and 59 RBI this year. In return, the team shipped Tommy Joseph, Nate Schierholtz, and Seth Rosin to Philadelphia. Joseph, a catcher who was one of the team’s best two or three prospects depending on who you asked, is the centerpiece of the deal. The Giants were willing to let him go for Pence, perhaps because they’ve already got Buster Posey behind the plate. After giving up one of their top pitching prospects to rent Carlos Beltran last year, it’s notable that the Giants secured Pence, who’s under contract through 2013. He’s not going to hit as many home runs as he did in Citizens Bank Park, but Pence will be a very important part of the lineup for more than just a few months. The Angels and Dodgers were the deadline’s biggest movers and shakers, so like the Giants, the Rangers had to come up with something to better their squad for the playoff race to come. Dempster may be 35 years old, and while his 2.25 ERA and 1.04 WHIP are certainly well above the general expectation, the numbers aren’t a total anomaly. Recall that in 2008 he went 17-6 with a 2.96 ERA and 1.21 WHIP over more than 200 innings. Although 15 years in the bigs, it’s Dempster’s first time in the American League, and his 4.63 ERA in 50 career interleague games aren’t exactly a bright spot, they needed someone to fill the hole injuries have made in their rotation. He’s no Zach Greinke, but Dempster will be a big factor if the team hopes to reach the World Series for the third straight season. If this was a list of the trades likely to have the biggest impact over the next few years, as opposed to just this season, this one might’ve been at the top of the list. Ramirez might be having a down year (or two) by his standards, hitting .246 with 15 home runs and 56 RBI. And sure, it’s been a little while since 2009, when he hit .342 and brought home a battle title, or his 30/30 campaign in 2008. But Ramirez is coming off an injury and more importantly, he’s still only 28 years old, smack dab in the middle of his statistical prime. Considering the Dodgers gave up very little to get him and also scored Shane Victorino, they might just be the season’s biggest trade deadline winner. As I said, long term, Greinke moving to the Angels might not be that huge. Who knows where he’ll end up when he becomes a free agent this off season. But with the spot the Angels are in right now, his move to LA is the deadline’s biggest. It’s no surprise that like the Giants and Dodgers, both the Angels and Rangers are on this list. Arguably two of the three best teams in the American League reside in the Western division, and as I discussed last week, playoff spots are no longer created equal. 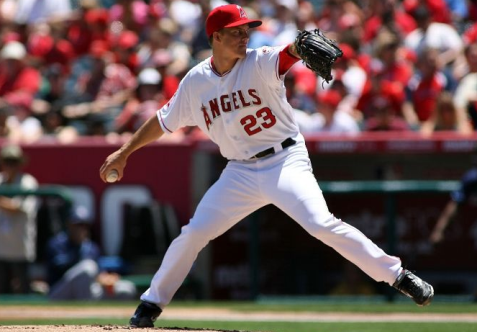 Yes, the Dodgers are in a similar position, and yes, the Rangers made a similar move, but the Angels now have Greinke, who was indubitably the best starting pitcher on the market, to shore up a rotation that already includes Jered Weaver, C.J. Wilson, Dan Haren, and Ervin Santana. Pitching is the name of the game when it comes to the playoffs to begin with. But what’s crucial for the Halos is that even if they do find themselves forced to employ Weaver in a wild card play-in, they’re not so screwed as most other teams might be with a gang like that to follow him.